The pervin.net express our sincere sympathy for our cousin Sanford for his passing! Ricki Tobisman has informed us that Sanford (Sherman's middle son) died of cancer on 3/18/02. He was 62 or 63 years of age. My family is the Porvin branch from Detroit. Most were transcribed from the oral history told by my great-aunt Betty, who left Russia with her 4 younger brothers and sisters. Leib Pervin (also called Nicholiaves) was taken (kidnapped, more or less) as a young boy by Czar Nicholas I to be trained as a lifetime soldier in the Czar's army. He served with distinction and his family was given a large parcel of land and 1st class citizenship. Although most of the Jewish boys who were taken lost their religious identity and were raised Greek Orthodox, Leib was able to retrace his family and remained Jewish. So he had two things unusual for a Jew in czarist Russia: He had land and 1st class citizenship. Leib Pervin had children, including a son, named Shmuel Pervin. As the first born son, Shmuel inherited everything, including the beet sugar factory his father owned. The sugar factory was called Loznanskey-sacharnyi zarod. It was located in the state of Podolskoy Guberni. Shmuel had a number of sons. His second son was named Isruel Pervin. Because Isruel was the second son, he did not inherit the land. He served as an accountant and an overseer on the beet plantation owned by his older brother, Leib (who apparently was named after his grandfather, Leib). Isruel would spend the week on the plantation and then return to his family for Shabbat. The town they lived in was called Bagrinowsky (Baranocichi, Baranowicze). This town town contained the largest and most intellectual Jewish community. It had about 5,000 people in it. The family lived in a large house next to a church. They were a prominent family, with wealth and many servants. The name "Pervin" means "the first." 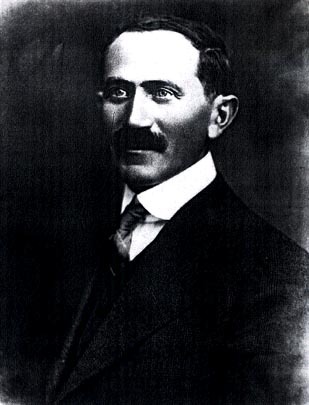 In 1914, Isruel left for the U.S.. He had just crossed the international date line at sea when war broke out. He could not return to Russian and his family could not follow him. Life in Russia became very difficult. Isruel changed his name to Sam when he came to the U.S..
Back in Russia, Isruel's wife, Sheiba, was killed by mauradingbandits (the Petrula band) during a pogrom. 6) Basia (also called Beverly), named after her father's second sister. In 1918, Fruma died of typhoid. Betty became an American citizen on April 13, 1939. Her Certificate of Citizenship lists her middle name as Rena. The INS lists Betty's name as Betia Pereven. She was 19 when she emigrated from Bagrynovce, Russia. This information came from the Manifest of Arrival, dated August 23, 1921. Isruel (also called Samuel) died in Detroit on November 18, 1938. His death certificate indicates that he was "about 67 years old." Interestingly his father's name is listed as Abraham Porvin. All the children changed their name from Pervin to Porvin when they came to the U.S..
My great-Aunt, Betty (Betia in Russia) opened a uniform shop on Pico Ave. (in the Jewish neighborhood). Her sister, Beverly (Basia) was my grandmother. Their other sister, Clare worked at a clothing store. In addition to them, I know there were brothers Albert and Sherman. Los Angels is where the majority of the Porvins of Detroit ended up. 1) Betty (Betia), 2) Beverly (Basia), 3) Clara, 4) Albert, and 5) Sherman. They lived in a town called Bagrynovze (also called Branovhchy and Baranowisze) located 120 miles north of Pinsk. The five children arrived in New York on August 23, 1921. They eventuallry moved to Detroit and later to Los Angeles. Beverly married Nathan Tobisman and had three children, Stuart, Charlene and Rochelle. Stuart Tobisman married Karen Bleier and had me and my brother, Neal. Charlene Tobisman married Barry Davis and had two kids, Zack and Cody. Rochelle Tobisman married Hal Heisler and had two kids, C.J. and Nathaniel. Clara had a daughter, named Sheila, who had four kids - Neil, Lisa, Stephanie, and Robert. 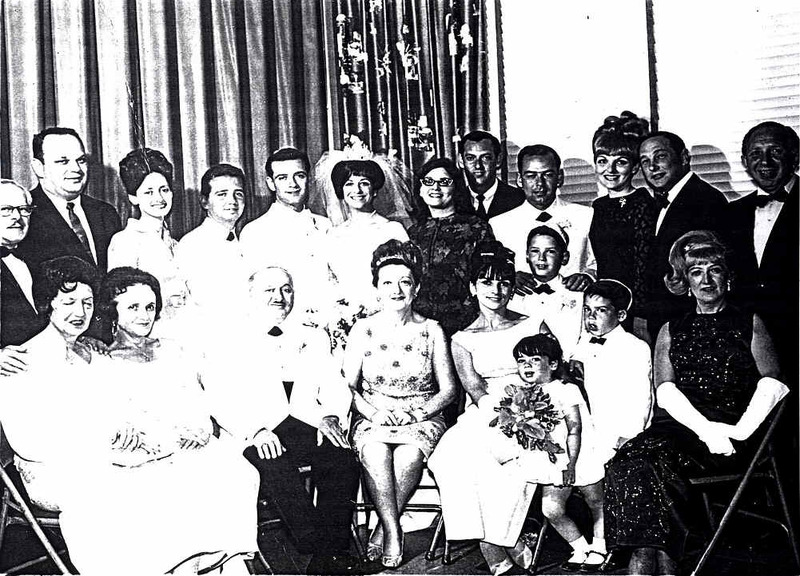 Top row, from left: Albert Porvin, Herb and Shirley Rosenberg (Albert's daughter), Dennis Porvin (Sherman's yougest son), Samford/Sandy Porvin and Barbara (Sherman's middle son - since divorced) Ellen and Lawrence/Larry Porvin Albert's son - sincedivorced) Bernie Porvin (Sherman's oldest son), Sheila and Sid Levine (Clara's daughter - since divorced), Marvin Fiarman (married to Clara).